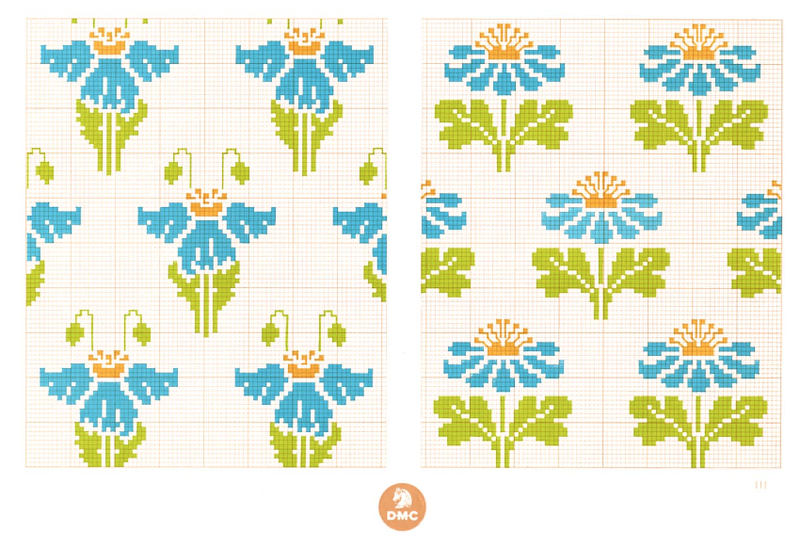 This winter I ran across a website with some really wonderful embroidery pattern books you can download for free. 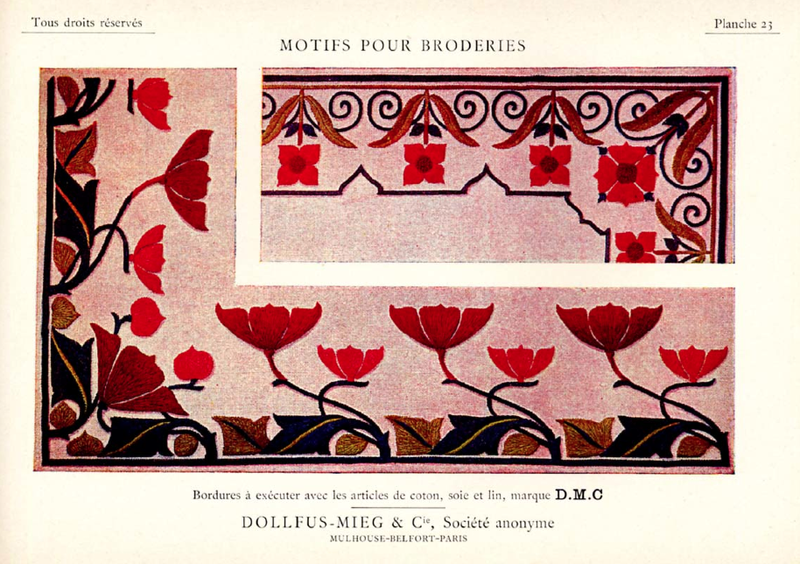 They date from the early 1900s and were originally published by DMC Floss Company. 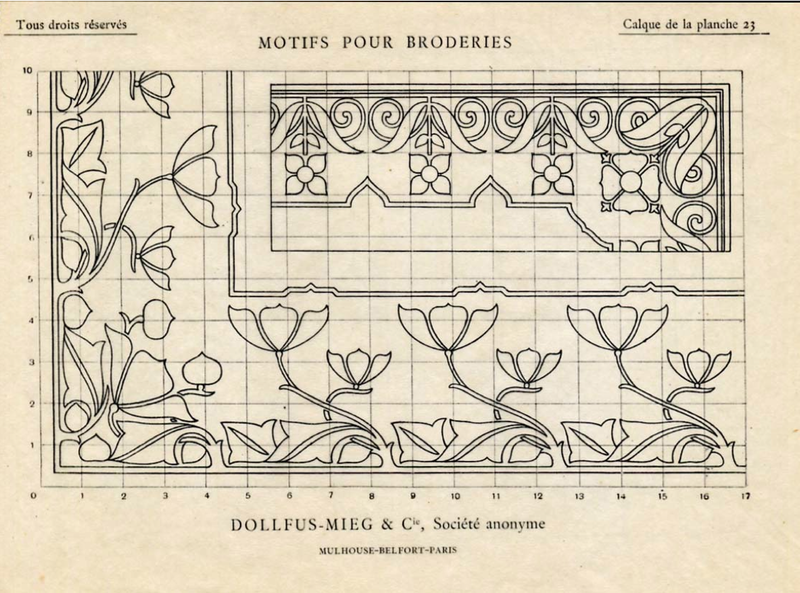 They include some great Craftsman appropriate designs. 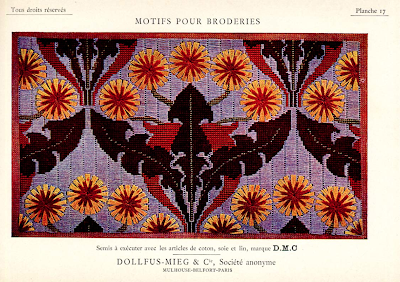 The books I'm referring to can be downloaded at the On-Line Digital Archive of Documents on Weaving and Related Topics website under the book section. 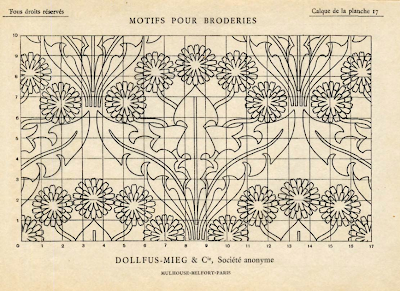 The specific books I am referring to were by Thérèse de Dillmont. Unfortunately, some books have to be downloaded in parts, so I cannot always just provide one convenient link. This is not the complete list of DMC books available; these are the books that looked most appealing to me. Feel free to do your own exploring. Dillmont, Thérèse de. 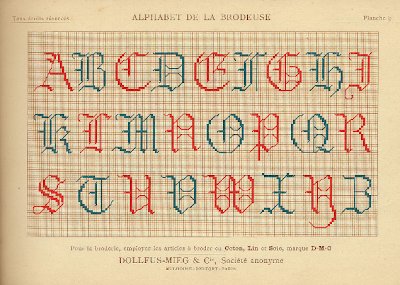 Alphabet de la Brodeuse [The Embroiderer's Alphabet], Dillmont, July 1932, 151 pages. 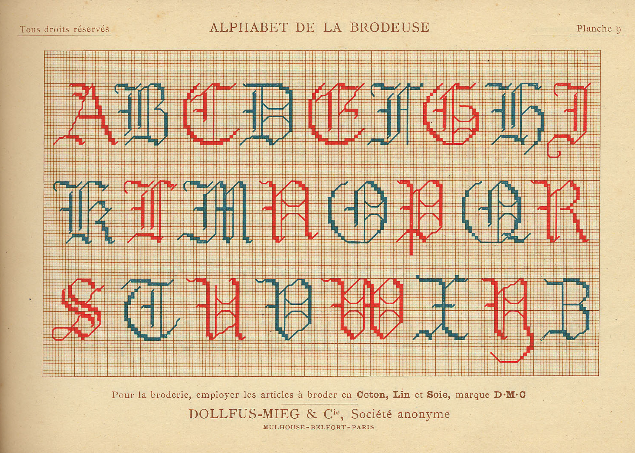 Pretty much what you would guess; lots of options for alphabets. Dillmont, Thérèse de. 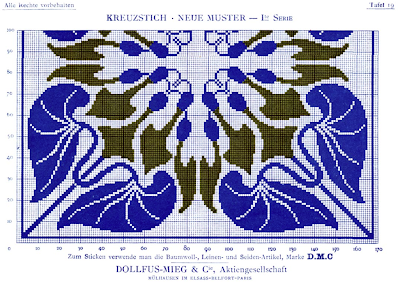 Cross Stitch 3 Series, DMC Library, 28 pages. Download here. 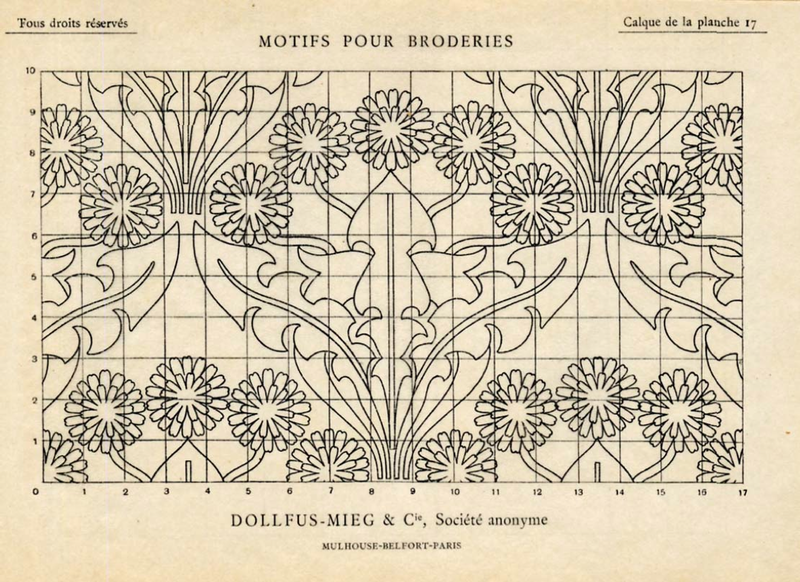 Some wonderfully appropriate patterns. Dillmont, Thérèse de. Kreuzstich Neue Muster 1. 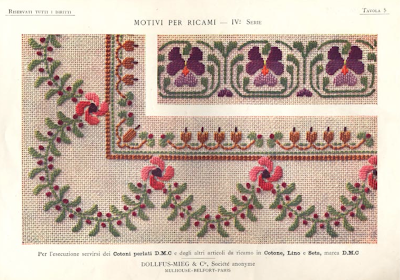 Serie [New Designs in Cross Stitch. 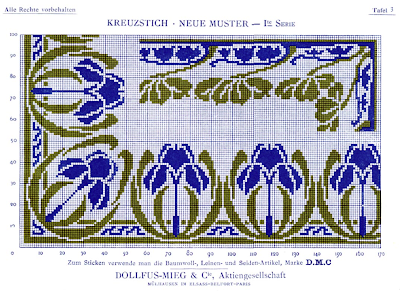 Series 1], Bibliothek DMC, February 1911, 33 pages. Download here. 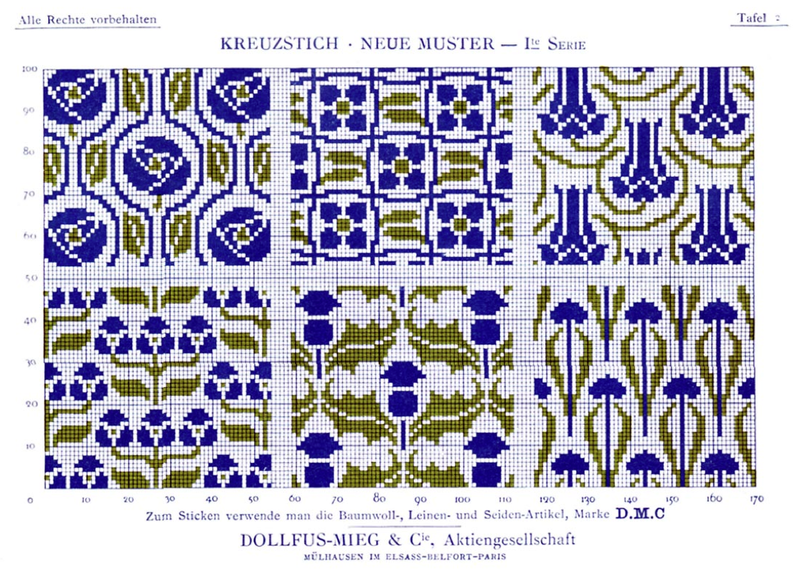 Another great set of patterns. 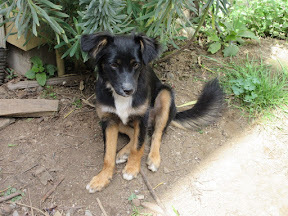 Dillmont, Thérèse de. Le Filet Brodé [Embroidered Filet], Bibliotheque DMC, August 1912, 60 pages. Download here. 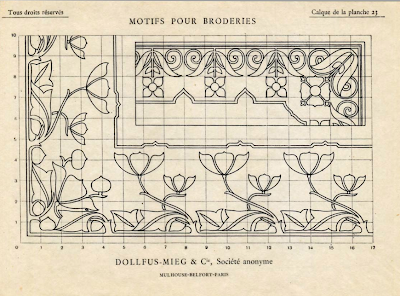 Filet lace is very period, but I know my limitations and won't ever make my own curtains. Dillmont, Thérèse de. 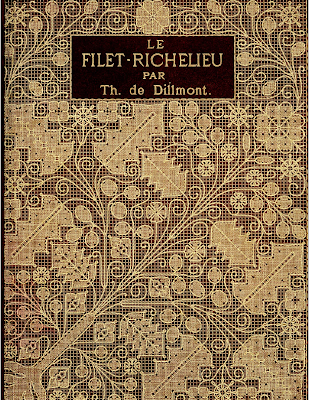 Le Filet-Richelieu [Richelieu Filet Embroidery], Bibliotheque DMC, August 1930, 54 pages. 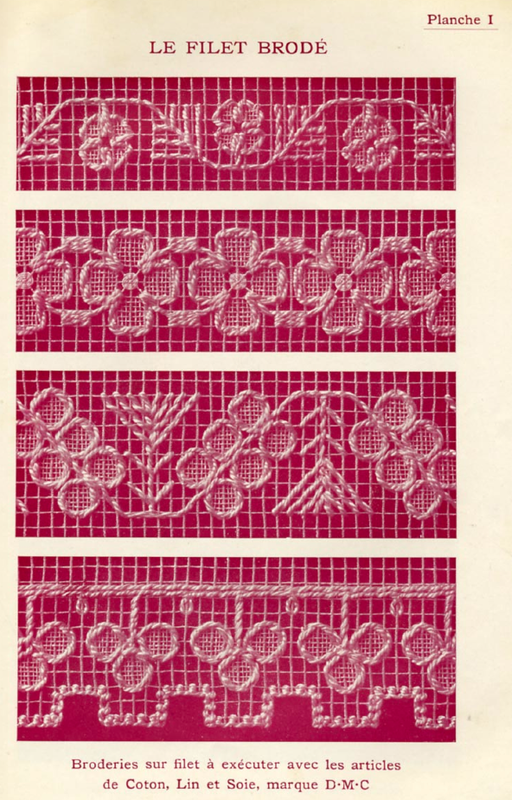 Another amazingly complicated Filet Lace book. Dillmont, Thérèse de. 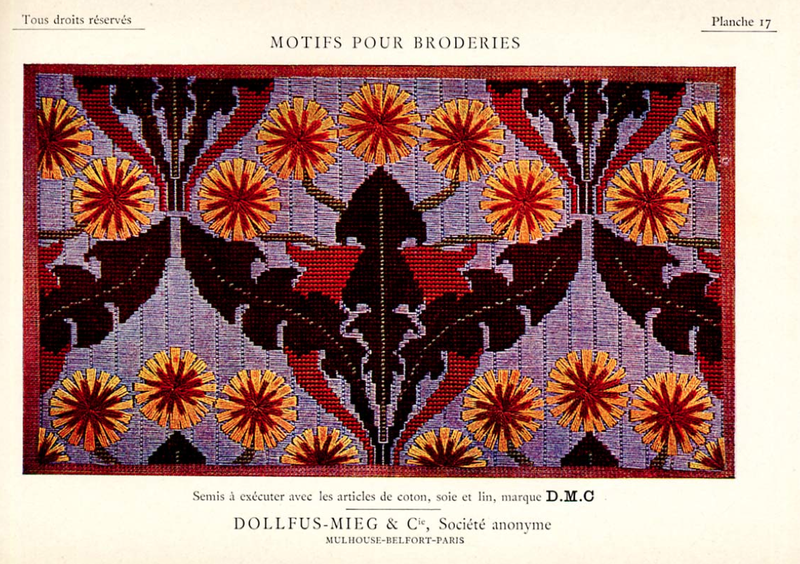 Motifs pour Broderies 1re Série [Embroidery Motifs First Series], Bibliotheque DMC, 113 pages. 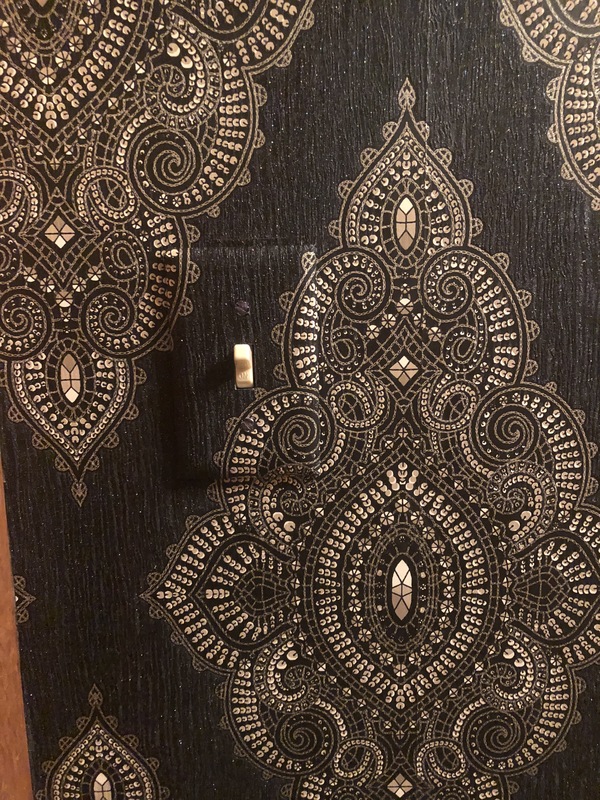 Not as many great patterns, but some good ones. Dillmont, Thérèse de. 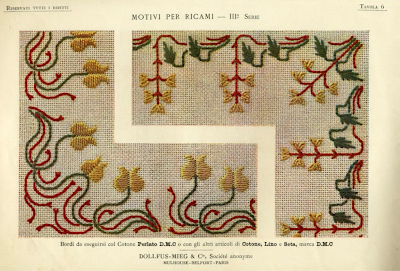 Motivi per Ricami (3a Serie )[Embroidery Motifs], Bibliotheque DMC, 29 pages. Download here. Some lovely delicate embroidery patterns. 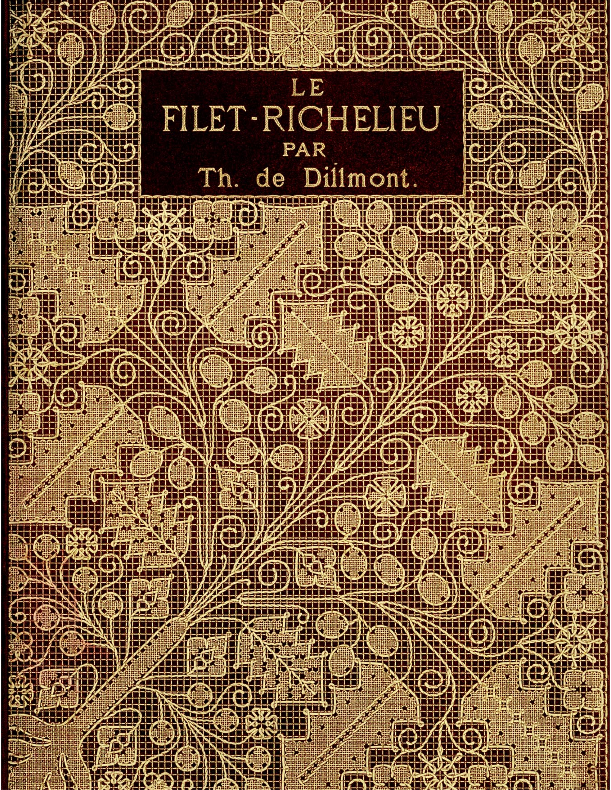 Dillmont, Thérèse de. 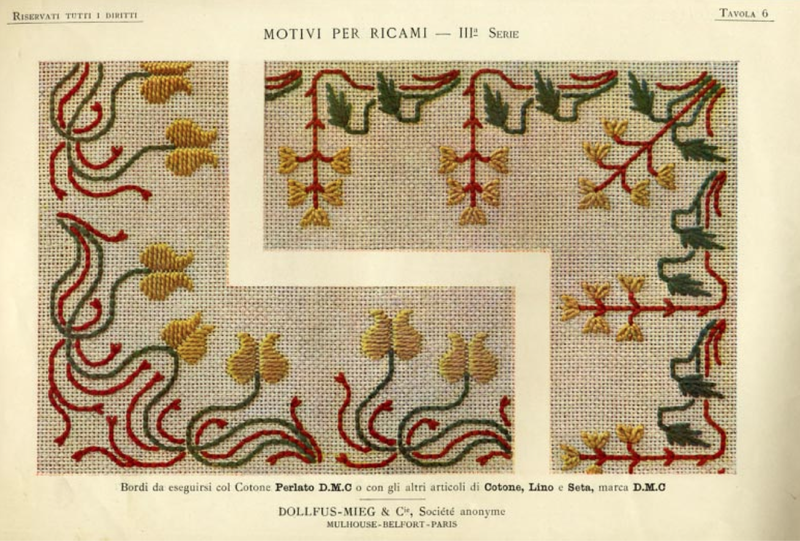 Motivi per Ricami (Serie IV)[Embroidery Motifs], Bibliotheque DMC, 29 pages. Download here. 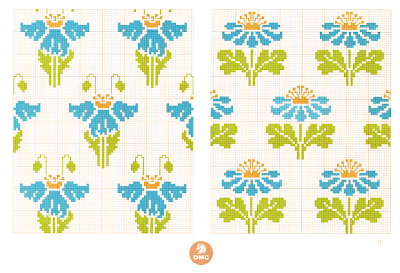 More pretty flower borders. 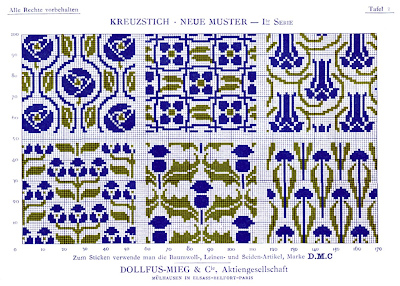 These would be so nice on small table scarves. Finding great pattern books like this make me a little sad I don't spend more time doing handcrafts. Pre-internet, I would do cross stitch and embroidery. Nowadays, I almost always have a computer in my hands if I'm sitting on the couch. Love, love, love these! 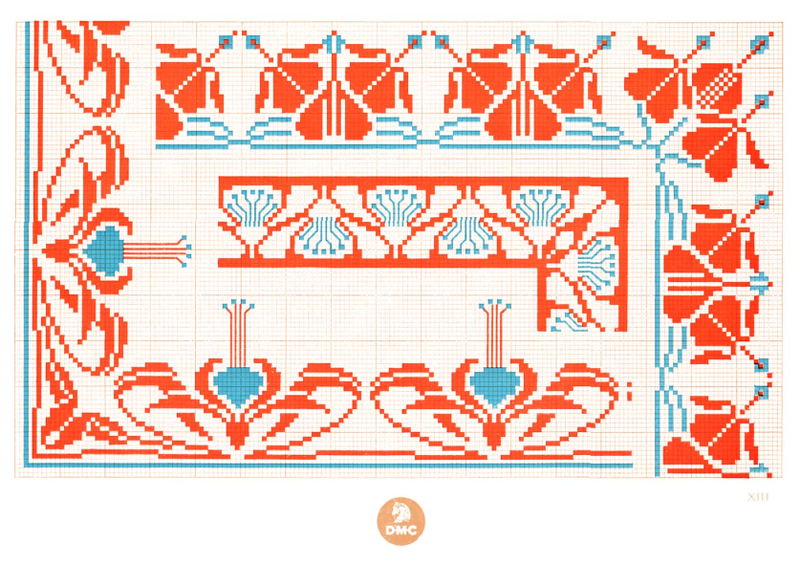 I used to cross-stitch, but it started to bother my wrist. Probably too many hours at a keyboard followed by too many hours holding a hoop. Oh pain be darned, I might have to start again! Thank you!!! 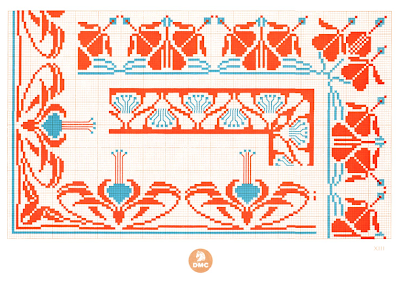 This is the best blog and pattern!! !